If you notice black mould or mildew patches on any internal walls, ceilings or floors you should take action straight away. You’re more likely to suffer respiratory problems or infections if you have problems with damp and mould or mildew in your property. Moulds and mildews produce allergens and irritants and some can even produce toxins so treating damp and mould as early as possible is important for your own health. The structural integrity of your property can be compromised if the source of damp problems is not detected and fully fixed. We're fully trade accredited. 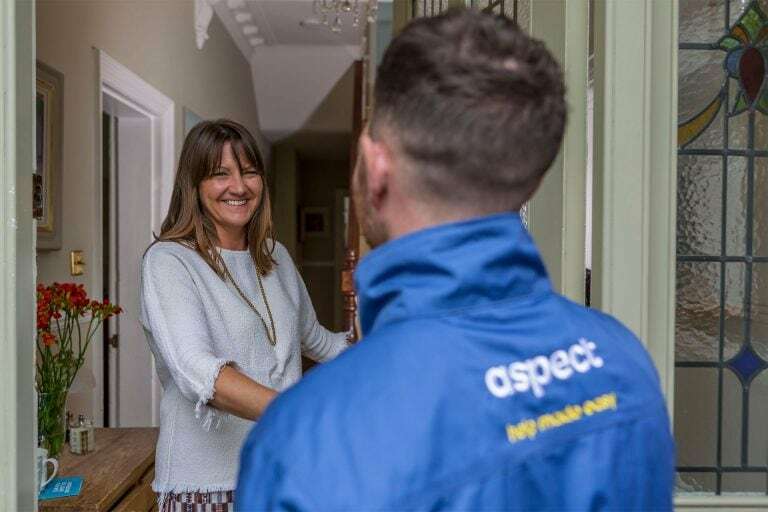 Aspect is registered with Gas Safe, the National Association of Drainage Contractors (NADC) and the Worshipful Company of Plumbers. All our damp specialists are vetted and trade accredited. 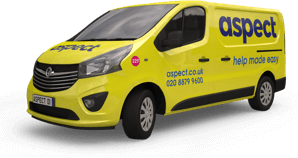 In addition, the Aspect Guarantee covers our tradesmen's workmanship for up to 12-months. 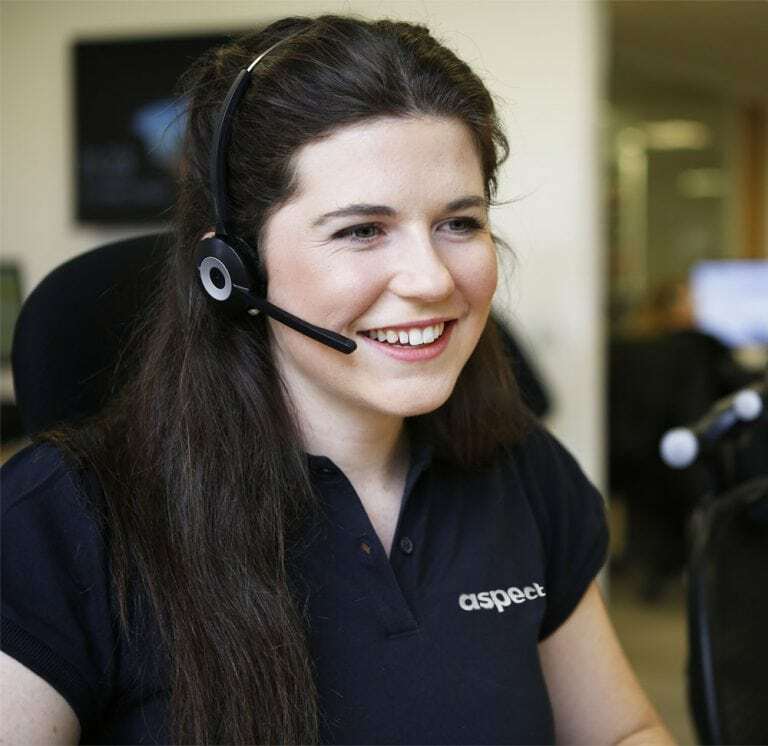 When you book and Aspect damp detection specialist you can count on getting the professional expertise you're looking for. If patches of mould or mildew are concentrated in a specific area this could be the sign of a leak, either in pipework or around window and doorframes, or a weakness in the external wall structure. 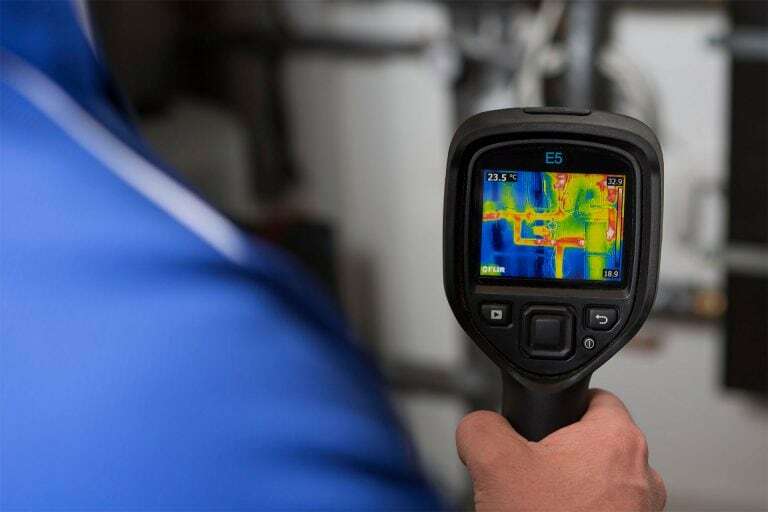 If this is the case and the source of the leak isn’t immediately obvious then one of our damp specialists is fully equipped and expertly qualified to find it. 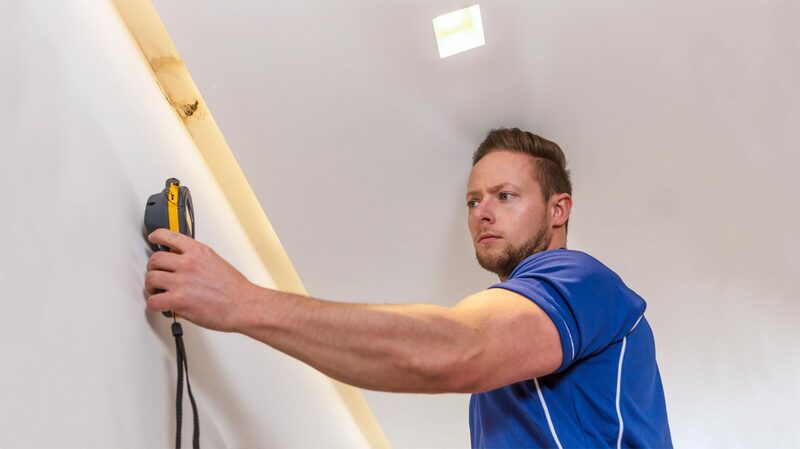 Our damp specialists use the latest high-tech, non-destructive techniques available to find the source of a leak quickly and efficiently. Condensation is created when warm air with high moisture content comes into contact with a cold surface. The way to combat the problems caused by condensation is to firstly reduce the amount of moisture in the air and secondly increase levels of ventilation in your property. Rising damp is a form of dampness that occurs when moisture rises from the ground through floors, masonry and walls via capillary action. The process allows moisture to travel upwards against gravity. Rising damp is unlikely to occur more than 1.5 metres above ground level. If you have evidence of damp and moisture higher than this it’s probably due to another source of water ingress or a leak. 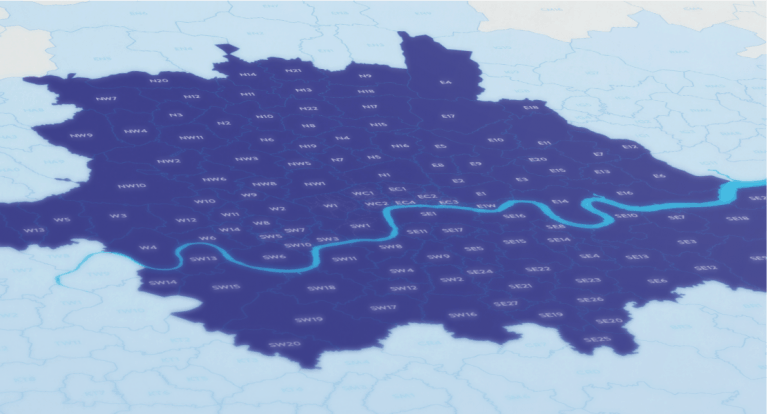 We do not provide a damp proofing service for rising damp, but we can establish whether your damp problem is caused by rising damp or not. If you have rising damp confirmed we recommend contacting a reputable damp proofing company. Although treating black mould and mildew can be done with specialist products that can be purchased from most DIY stores you should always take precautions if you’re treating it yourself. During the removal process the fungal spores can become airborne and could be inhaled. The inhalation of spores should always be avoided. You should use a facemask that’s rated for black mould spore protection, as well as wearing rubber gloves and protective eyewear. Ventilate the room by opening windows. However, try to keep doors to other rooms closed as this will prevent spores from spreading to other parts of your property. Lightly spray the affected area with water. This will reduce the likelihood of spores becoming airborne during removal. Use a damp cloth either with a mould killer product or a regular household detergent to clean the affected area. A gentle wiping action is best rather than a vigorous scrubbing or even brushing. It’s a good idea to disinfect the surrounding areas too and not just the area covered by the mould or mildew. Finally, make sure the area is thoroughly dry and dispose of the cloth you’ve used in a plastic bag. Also, rinse the gloves and eyewear thoroughly before allowing them to fully dry. Warning: Do NOT attempt to remove mould or mildew if you think it’s caused by a sewage problem, or another source of contaminated water. If you’re unsure about how to remove mould or mildew safely call us and one of our tradesmen can do it for you. Mould and mildew grow best in dark, humid conditions. They feed on organic matter. To prevent them from returning once you’ve removed them try to let as much light into the room as possible. Regular dusting and cleaning will also help. Washing any cotton or wool products, such as sheets, blankets and cushions is advised too.